The clip, now deleted from the Israeli prime minister’s official YouTube channel, showed a closed meeting at the Warsaw Middle East conference, featuring the foreign ministers of the UAE, Saudi Arabia and Bahrain. They backed Israel and called the confrontation with the Islamic Republic a more pressing issue than the Israeli-Palestinian conflict. Washington has promised to undermine Iran's economic stability with sanctions in order to force Tehran to abandon its nuclear armaments program, which the US believes the country is still pursuing, despite having signed the JCPOA (Joint Comprehensive Plan of Action). 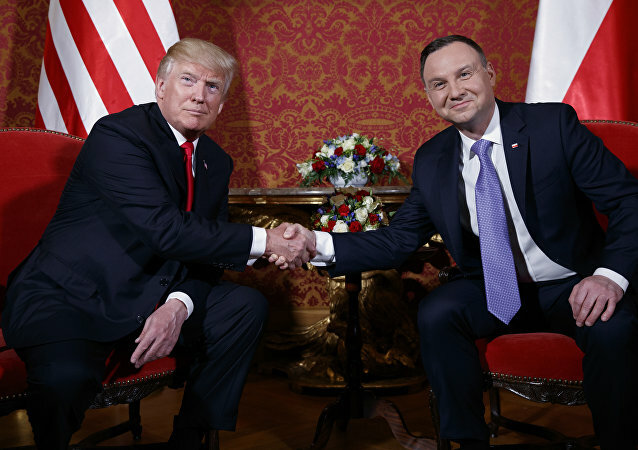 Deviating from the official EU stance, which expresses commitment to the 2015 Iran accord, Poland’s top officials have expressed a wish to defend the US position among the EU members and step into a mediator role between the transatlantic allies, split by the recent US move. 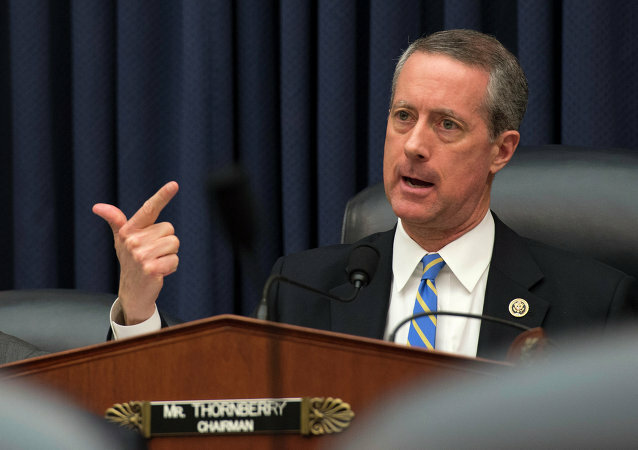 Days before the deadline when the US President is to decide on re-imposing sanctions against Iran, Texas Congressman Mac Thornberry has sided with Washington's European allies, warning about dire consequences if the 2015 accord is disrupted. 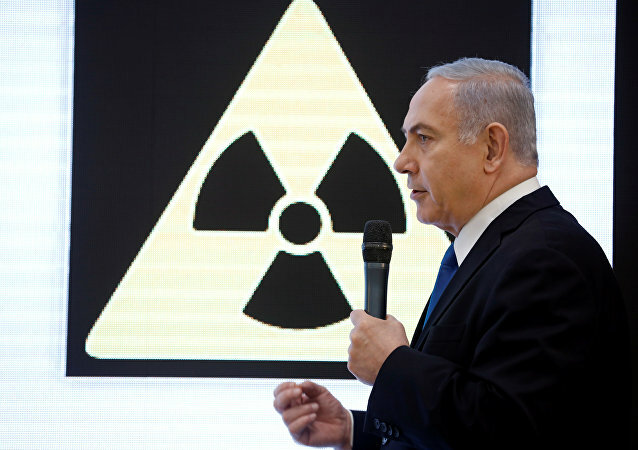 Israeli Prime Minister has fueled tensions over the Iran nuclear program as Benjamin Netanyahu presented what he describes as evidence of Iran’s operation to obtain weapons of mass destruction. Sputnik discussed how this move could affect the Iran deal with the head of the Berlin Information Center for Transatlantic Security, Ottfried Nassauer. 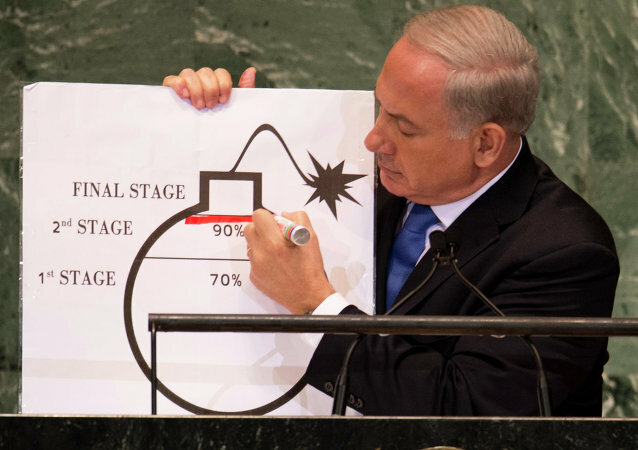 The Israeli Prime Minister’s speech, which was supposed to be a looming warning, had a less sobering affect on Twitter. It triggered a proper storm as users made the most of his classic minimalistic PowerPoint presentation, making their own ROFL statements, the best of which you’ll find below. 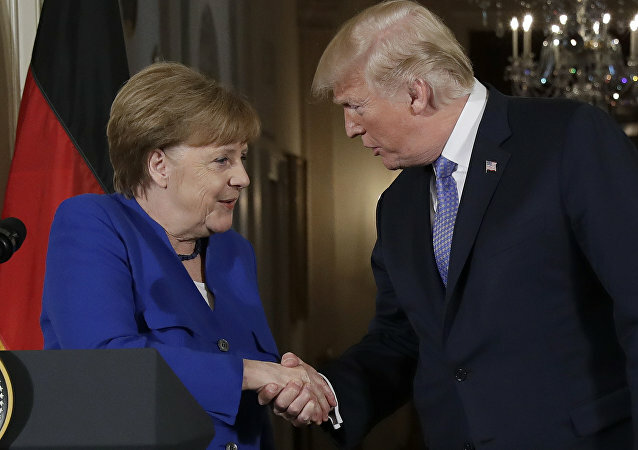 Despite smiles and handshakes, the meeting between Donald Trump and Angela Merkel as well as the following press conference exposed contention regarding some of the most pressing international issues such as the Iran nuclear deal and trade relations. Hassan Firuzabadi, former chief-of-staff of Iran’s armed forces, addressed the recent arrest of environmentalists on espionage charges. 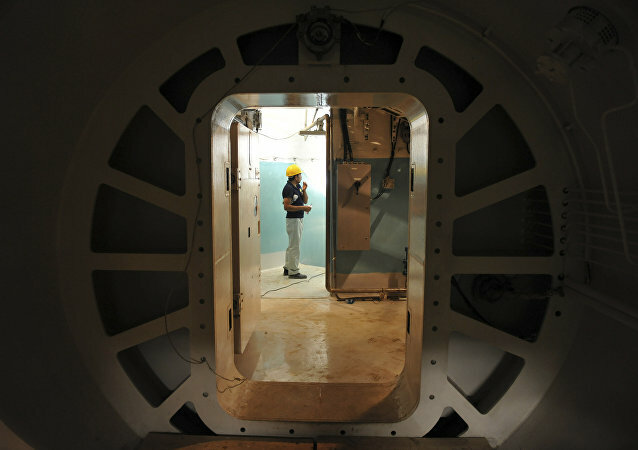 The International Atomic Energy Agency (IAEA) announced this week that its inspectors have not yet found any evidence to show that Iran is violating the terms of the 2015 nuclear agreement it signed with the five members of the Security Council plus Germany in 2015, following President Trump's decision to decertify the agreement last week. 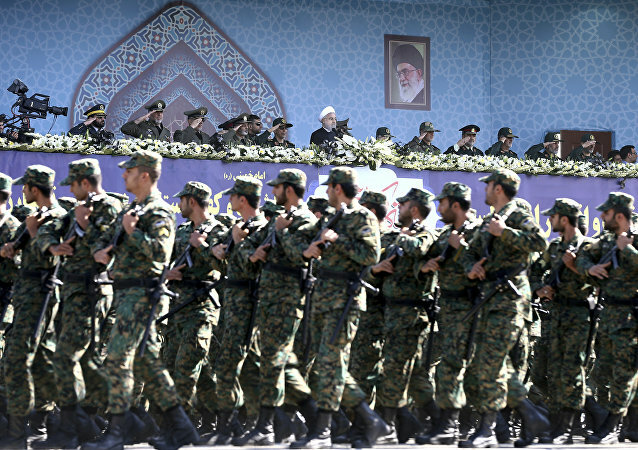 The Trump administration's policy toward Iran may drag the Middle East into yet another military conflict and, what is more dangerous, deal a heavy blow to the nuclear non-proliferation regime, Russian researcher Vladimir Sazhin of the Institute for Oriental Studies of the Russian Academy of Sciences told Sputnik. 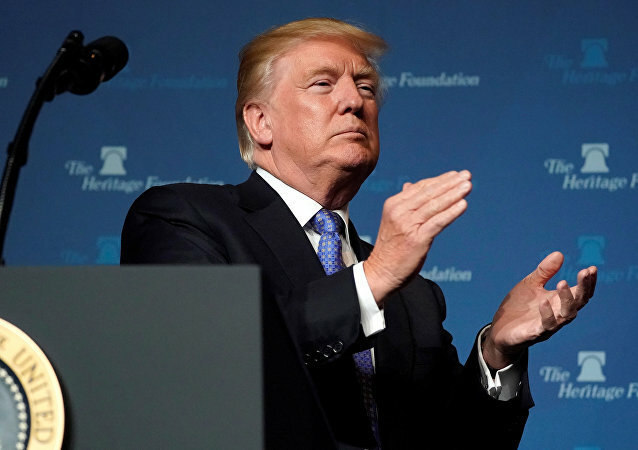 This week, Donald Trump is expected to unveil his reviewed strategy towards Iran, with some experts suggesting that he will opt to decertify the international nuclear deal with Tehran. Iranian analysts told Sputnik that their country has an action plan for any decision he might take and explained why the US will never resort to a military conflict. Tehran needs to stick to the Iran nuclear deal and urge the parties involved to do the same in accordance with the Joint Comprehensive Plan of Action (JCPOA), Tariq Rauf, an expert on nuclear disarmament, told Sputnik, adding that Iran's withdrawal from the agreement will play directly into the US’ hands.